Last year, Skoda introduced its first-ever SUV-coupe - the Kodiaq GT. IAB has learnt that as its second SUV-coupe, the company plans to introduce the ‘Kamiq GT’. 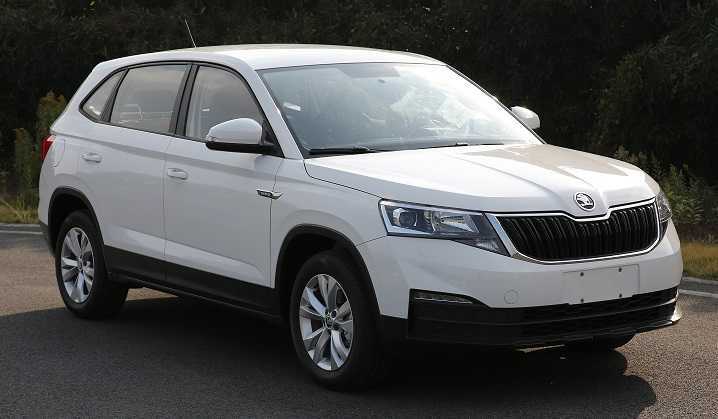 The Skoda Kamiq GT, like the Kodiaq GT, is planned exclusively for China. Some may argue that the Skoda Vision E’s production version will be the second Skoda SUV-coupe, but that’s a model scheduled for release in 2020. IAB understands that the Skoda Kamiq GT will break cover this year. Like the Skoda Kodiaq GT, this model is designed exclusively for China. The Skoda Kamiq that will debut at the 2019 Geneva Motor Show on 5 March has no relation whatsoever to the Skoda Kamiq GT. That’s because it will be a derivative of the Chinese-spec Skoda Kamiq. The global version is an MQB A0 platform product, while the Chinese SUV sits on the old PQ platform. Compared to the Kamiq, the GT will likely have a shorter, wider and lower body for a sportier stance. The regular version is 4,390 mm long, 1,781 mm wide and 1,593 mm high. The roofline of the GT version will likely gently slope down behind the front doors and merge into a flat tailgate for a dynamic profile. Like the Kodiaq GT and Scala, it would flaunt the brand logo in block capitals along the middle of the tailgate. The Skoda Kamiq employs a 1.5-litre naturally aspirated petrol engine that produces 81 kW (110 PS) and 150 Nm of torque. In the GT version, one can expect a more powerful, turbocharged petrol mill that offers a more spirited drive. Also, it wouldn’t surprise us if this version rolls up on bigger, 18-inch alloy wheels. The Skoda Kamiq sold in China sits on the PQ platform. In India, none of the aforementioned B-SUVs is planned for introduction. A market-specific MQB A0 IN model is in the works, and it will premiere in the concept form at the Auto Expo 2020.